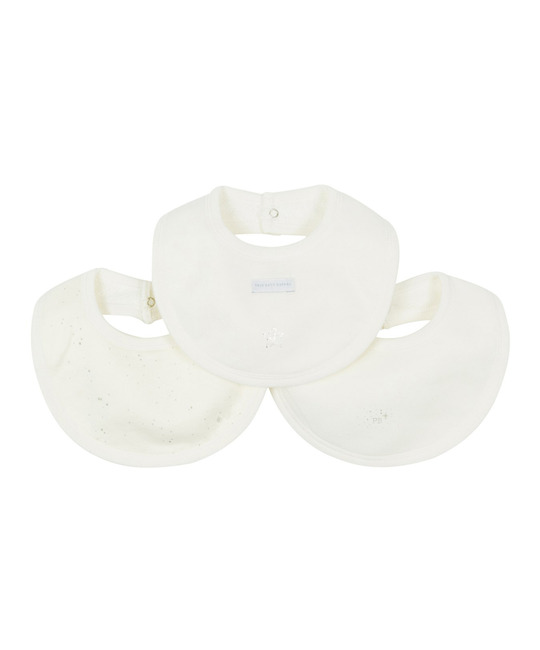 Petit Bateau soft cotton offwhite 3 pack bib set. 100% Cotton. Imported.